Many of us turn to the virtual world to mark major life events – graduating from school, scoring a promotion, getting married or having a baby. 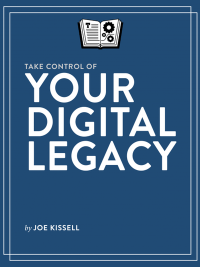 But what happens to your “digital legacy” after you die? Grieving family members and friends would no doubt be aghast to come across a nasty comment about a departed loved one on their Facebook page or see a troll attacking their Twitter account. So as morbid as it may sound, lawyers and web experts are urging people to include specific instructions in their will about what happens to the digital footprint they leave. “In an age where digital data has increasing economic and sentimental value, it is sensible to leave clear instructions in your will about what should happen to, for example, social media content after death,” said Robert Rhoda, a dispute resolution lawyer with law firm Smyth & Co in association with RPC. Our digital afterlife is not something most people think of and tech companies are still grappling with policies to adequately deal with the issue. It’s a relatively new area of the law, Rhoda said, adding that people should consider leaving a “digital legacy” to avoid difficulties for those left behind to deal with the issue. “Administering digital assets and social media content is a novel legal issue,” he said. In Britain, the Law Society of England and Wales has started advising people to leave instructions on what should happen to their social media and other online accounts when they die in order to make it easier for family members to piece together their digital estate. But Rhoda warned that the virtual world was not afforded the legal status of tangible assets. “Social media accounts don’t have the same legal status as fixed assets, which form part of an estate, and it is not always clear who ‘owns’ them or, rather, who has the right to access them, once the user has died,” Rhoda said. In recent years, several cases have emerged to test the law. In 2005, the mother of a US soldier who died in Iraq went through a long legal battle with Yahoo to gain access to his email account. In 2011, the family of a 15-year-old boy who committed suicide spent years in and out of court to gain access to his Facebook account, arguing that they wanted to see if there were any hints on his page that would explain his decision to take his own life. 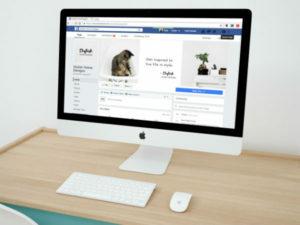 In Australia, a recent study by a government body that specialises in wills and guardianship found that while nine out of 10 people have social media accounts, just one in five have spoken to their loved ones about what should happen to their online profiles when they die. Lokman Tsui, assistant professor of communications at Chinese University, says there needs to be more awareness of the issue. “This is something that is really critical but that not a lot of people have given much thought to,” said Tsui, whose research areas include new media and how policies should deal with emerging technologies. The topic raises a raft of issues involving data privacy, ownership and the security of a dead person’s account. Tsui, who used to work at Google as head of free expression for the Asia-Pacific region, said the search engine introduced an “inactive account manager” last year. The feature allows the account holder to give other people access to their Google profile after they die. Facebook, which has 1.3 billion users, offers two options: the account can be deleted permanently upon the family’s request or it can be converted into a memorial profile. When an account is memorialised, sensitive information such as contact details and status updates are removed. No one can log into the account but friends and family can leave posts on the wall in remembrance. Jed Brubaker, an academic at the University of California, Irvine who is researching death, identity and social networks, said this Facebook option was a double-edged sword. “Memorialised profiles can be powerful places where the deceased’s social network can gather and memorialise the life of their friend,” he said. “But in my research, unexpected encounters with deceased profiles has been the most troubling aspect of post-mortem profiles continuing to exist on Facebook. In its policy, Facebook says it tries to prevent memorialised accounts from appearing in ways “that may be upsetting to the person’s friends and family”. A spokesman for Facebook, which declined to reveal how many profiles have been memorialised, said they “give people a platform to remember and celebrate the life of their loved ones after their passing”. Instagram, which is owned by Facebook, has a similar policy to its mother company. LinkedIn has an online form that allows a profile of a dead person to be removed and Twitter’s policy says an account can be deactivated by an immediate family member or someone who has been authorised to act on behalf of the estate. Yahoo, which is popular in Hong Kong, will deactivate an account once staff can verify documents such as a death certificate. Access to the account for third parties is not allowed. A spokesman for the Office of the Privacy Commissioner for Personal Data said that under the city’s laws, personal data was defined only as information which related to a living person. “When the records relate to a deceased person and no living individual, they do not contain personal data” and were not subject to data protection laws, he said. Two years ago, Hong Kong lawyer Ryanne Lai Hiu-yeung co-founded an internet start-up called Perpetu to tackle the issue. 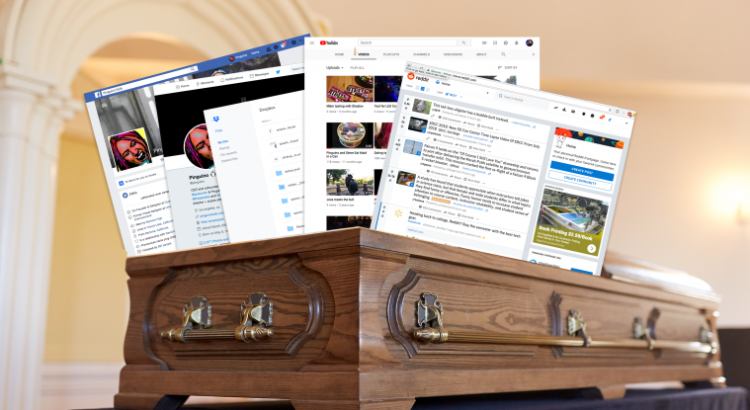 Services offered include sending farewell messages on Twitter when you die, the deletion of your emails or their transfer to an authorised person, and deletion of your Facebook account. The business is still operating but Lai says she is no longer actively promoting it. About 2,000 people signed up and about half were from Hong Kong. Richard Norridge, of law firm Herbert Smith Freehills, says the intrinsic value of our digital assets is still unexplored territory and someone’s digital legacy can come in many forms. Norridge said Facebook’s memorialisation option was a fraught one. “The account is preserved in that it can still be viewed, but no one can log into that account and accounts cannot be modified. Thus if unwelcome comments are posted, they are memorialised, too,” Norridge said. Ever wonder what happens to your social media accounts, email, online texts and other digital content when you die? Do they simply expire, leaving nothing behind but digital dust? Or can you authorize someone to take them over after you pass on? And if so, what powers would such a person possess? In response to such quandaries, tech giants Facebook and Google have created systems to deal with death—such as suspending inactive accounts, and creating online memorials. But these steps only address part of the problem. This novel issue was recently confronted by the Delaware Legislature, which became the first state to pass a uniform statutory scheme granting fiduciary trustees full access to a decedent’s online accounts and digital content, just as they would with more tangible assets. If this trend continues, more people may be able to confidently plan for the disbursement of their digital estate. But digital death can also have financial repercussions, as digital assets can have real value. A 2011 survey by McAfee found American consumers valued their digital assets at an average of $55,000. 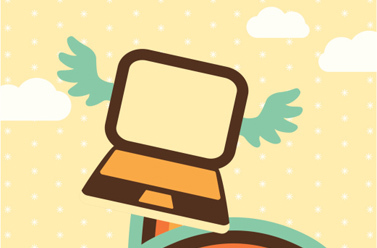 Such assets include digital photos, digital music, client lists, domain names, social media accounts, online manuscripts, blogs, email accounts, computer code, online gaming avatars and more. In an effort to provide a workable framework by which to administer one’s digital estate, Delaware recently passed the Fiduciary Access to Digital Assets and Digital Accounts Act, 12 Del. C. Section 5001, et seq., in August. What makes the act so unique is that it is the first adoption of the Uniform Fiduciary Access to Digital Assets Act (UFADAA), drafted by the Uniform Law Commission (ULC), a nonprofit group that lobbies to enact model legislation. According to the ULC, the UFADAA solves the digital estate problem by using the concept of “media neutrality.” This means if a fiduciary would have access to a tangible asset, that fiduciary will also have access to a similar type of digital asset. The UFADAA also defers to an account holder’s privacy choices as expressed in a document (like a will or trust), or online by an affirmative act separate from a general terms-of-service agreement. Thus, an account holder’s desire to keep certain assets private will be honored by the UFADAA. One reason the UFADAA is so important is because current federal legislation regarding access to digital assets is hidden in the Stored Communications Act (SCA) and the Computer Fraud and Abuse Act (CFAA)—both passed in 1986, with only minor revisions since then. Notably, the SCA broadly prohibits an “electronic communications service” (like an email service or social network) from disclosing the “contents of a communication” to parties other than the sender or recipient. The CFAA imposes criminal penalties (or civil liability) for “unauthorized access” to computer hardware, devices, and stored data. Despite its well-intentioned goals, detractors like Jim Halpert, an attorney with DLA Piper and director of the State Privacy and Security Coalition, still oppose the act. “This law takes no account of minimizing intrusions into the privacy of third parties who communicated with the deceased,” Halpert told Ars Technica. This includes highly confidential communications to decedents from third parties—like doctors, psychiatrists and clergy—who would not expect an executor to review the communications. Halpert also claims it will cause confusion with federal law. The act is set to take effect Jan. 1, 2015. Delaware was not the first state to address digital assets. 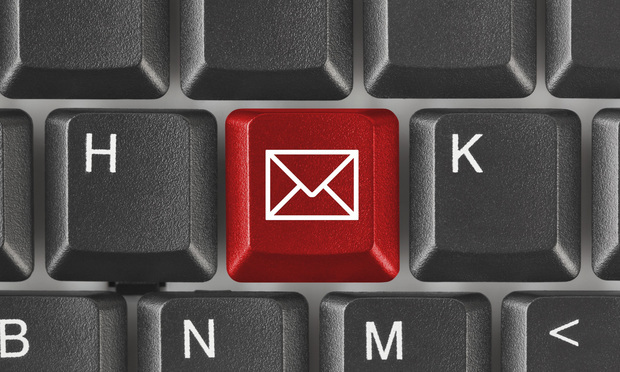 In 2005, Connecticut passed a narrow law giving access to email accounts for deceased residents. Since then, Rhode Island, Idaho, Indiana, Oklahoma, Nevada and Virginia have all passed legislation providing varying degrees of access to digital accounts. Bills are also pending in a dozen other states, yet all but one has failed to pass. In Pennsylvania, HB 2580—a fourth-generation bill to allow access unless it was restricted by will or court order—has been pending since August 2012. Digital assets have largely replaced tangible ones in our modern world. Yet the laws governing access to these assets remain outdated and inconsistent. Although a form of personal property and part of a decedent’s estate, commentators have observed that rights regarding digital assets are intertwined in a complex web of federal, privacy, copyright, intellectual property and state law. The result is fiduciaries are often left with little authority or guidance in collecting, distributing and settling a digital estate. And the problem may be more widespread than previously understood. According to a March 2012 article in Technorati, 30 million Facebook accounts belong to dead people. Current federal law and the law of most states fail even to recognize a fiduciary as possessing authority over digital assets. And until more jurisdictions adopt the UFADAA, this lack of uniformity will only continue. When a person dies (or is incapacitated) his or her fiduciaries and family members face particular challenges when administering his or her digital estate. After first identifying which digital property is significant, or has value, other obstacles include having to deal with: (1) passwords; (2) encryption; (3) criminal laws penalizing “unauthorized access” to computers; and (4) data privacy laws. Overcoming such obstacles can be tricky—but helpful guidance does exist. Commentators suggest account holders take four steps to plan for death/incapacity. First, they should inventory their digital footprint by identifying accounts and determining if they have financial or sentimental value. This process should include listing usernames, account numbers and passwords (the average person has 25 passwords). This sensitive list should also be kept separate from their will; a probated will becomes a public record. Second, account holders should routinely back up electronically stored information—especially if the data is stored remotely—so as to save fiduciaries from having to obtain access from remote service providers that are subject to various federal and state criminal and data privacy laws, like the SCA or CFAA. Fiduciaries would thus only have to deal with the aforementioned service providers in order to close or memorialize accounts. Third, the account holder should make a plan for managing/distributing the inventoried digital property. This includes designating a fiduciary with power and authority over digital property, providing instructions for distribution, and securely deleting digital assets the decedent does not want passed on to his or her heirs. Understanding a site’s default terms with respect to whether certain accounts will be automatically frozen or deleted is also critical. And fourth, the account holder should expressly authorize service providers to disclose private information to their fiduciaries so as to evidence their “lawful consent” thereto, and “authorized access” to the data. This can be accomplished by including a clause in a will identifying the above federal laws. 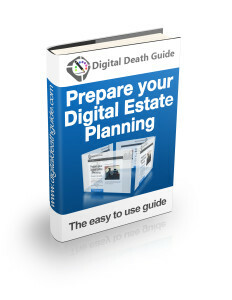 Given the explosion of online content and a comprehensive statutory scheme on the books, digital estate planning may soon become the new normal. Until then, a little knowledge may help stave off the looming specter of digital death.